They were smaller than i thought but still look lovely! 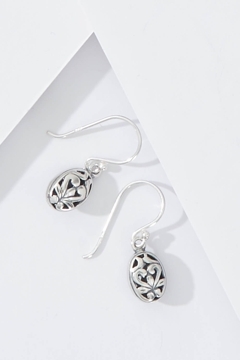 These earrings aren't huge, in fact they are petite, but they often receive compliments. They are beautifully detailed and I really love them. These came smaller than I thought, love the design and would have loved a trinket necklace to match, but thems the breaks. Really gorgeous earrings. Love them! Loved these great for everyday all day!